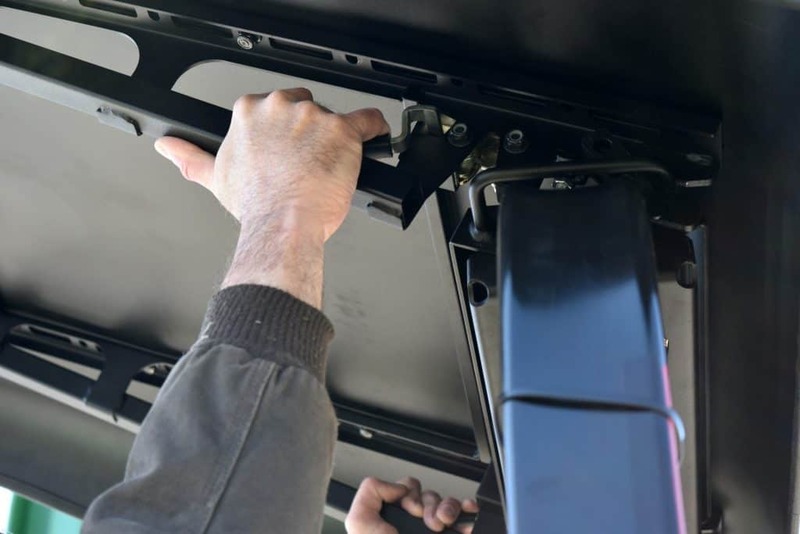 Mount/Pivot assembly mounts to vehicle ROPS in minutes. 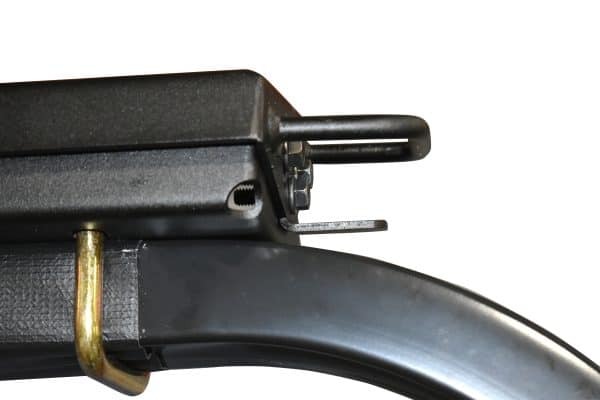 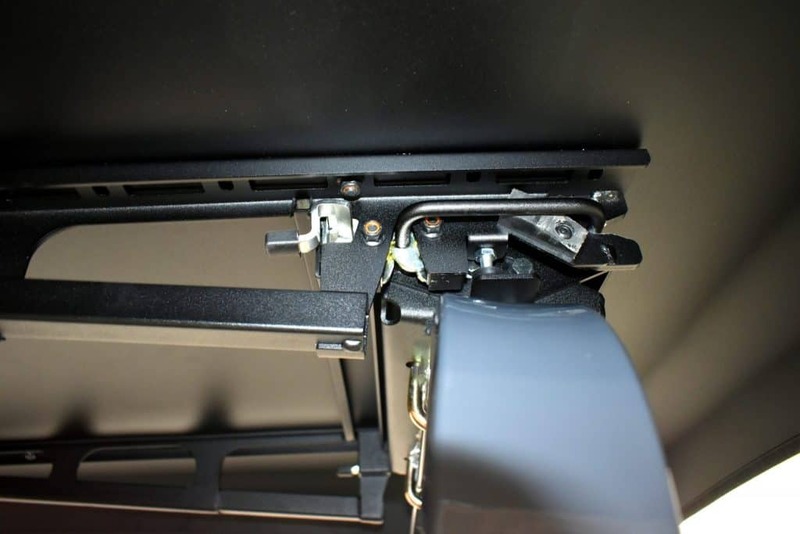 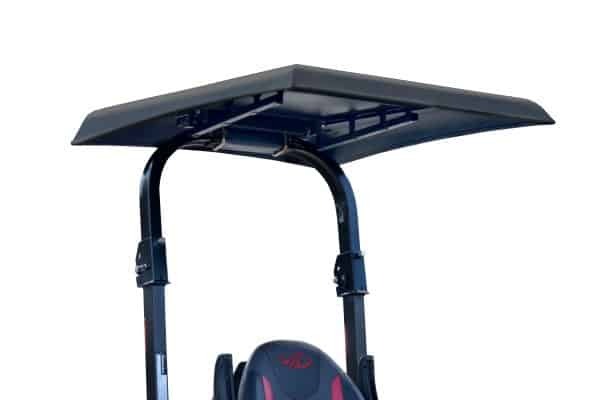 Lightweight canopy features integrated handles with quick-release latch for easy removal. 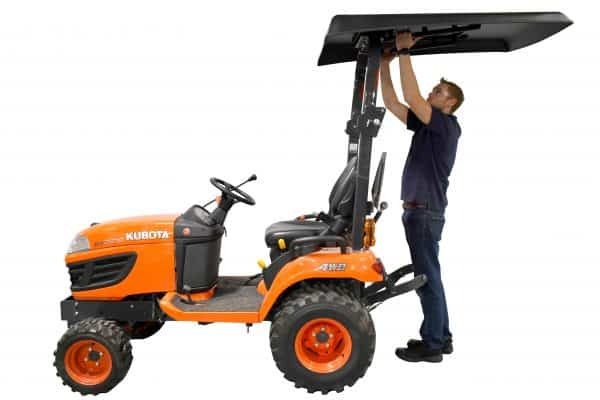 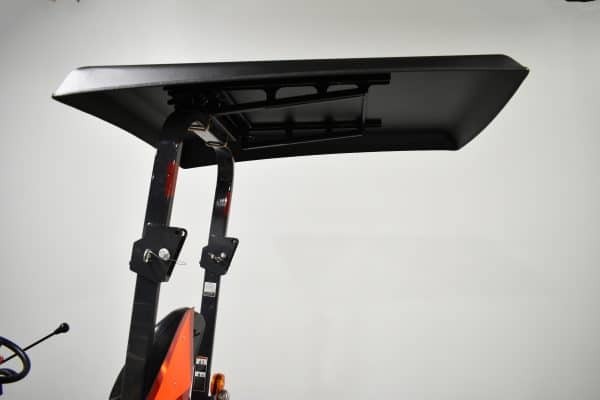 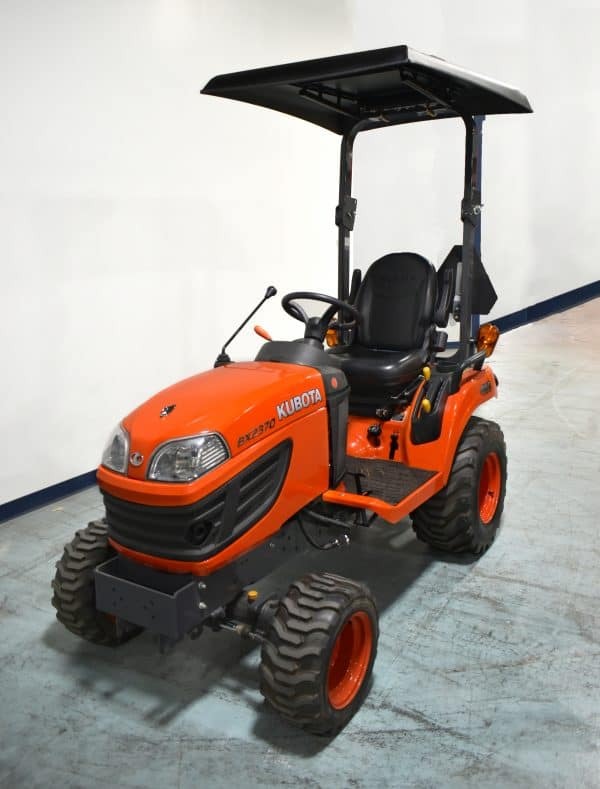 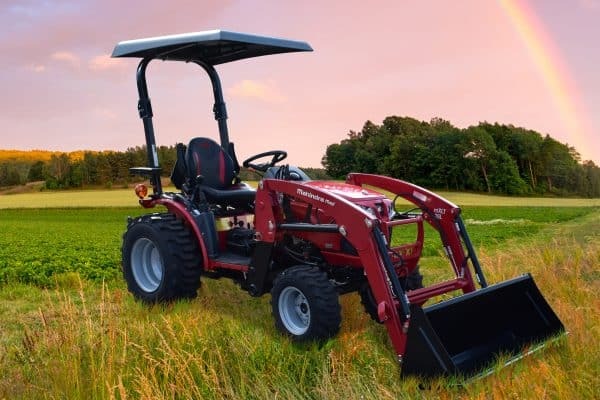 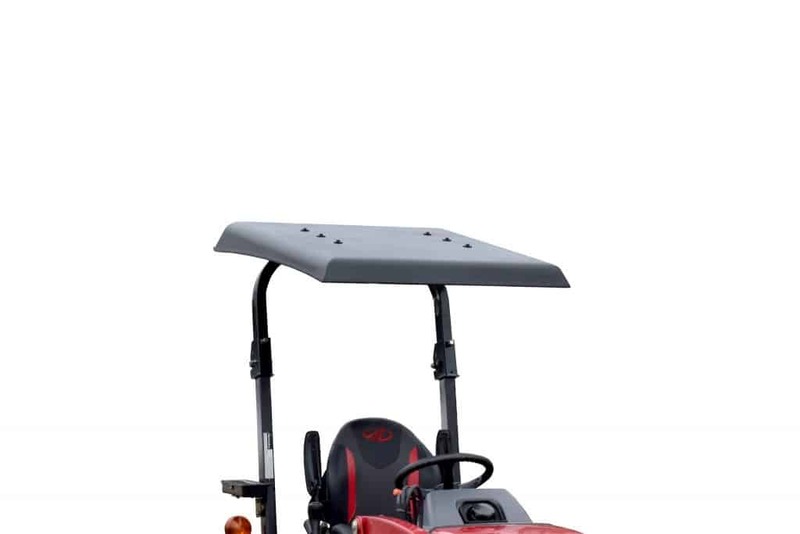 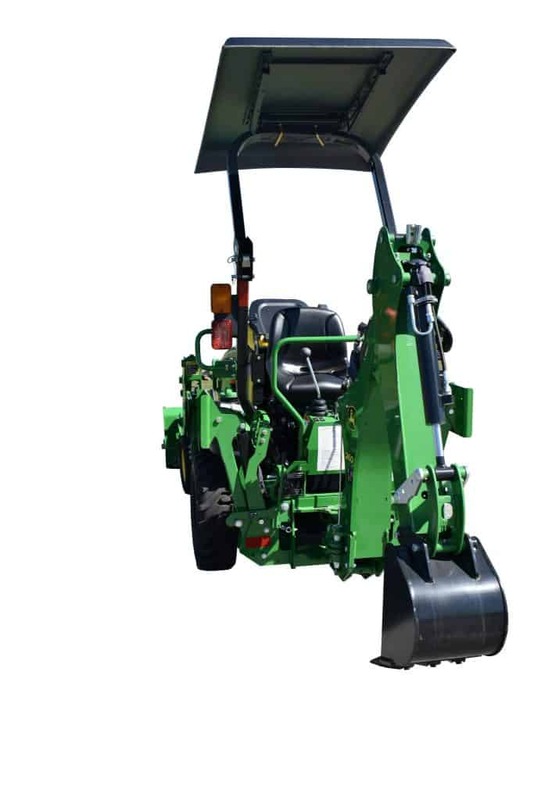 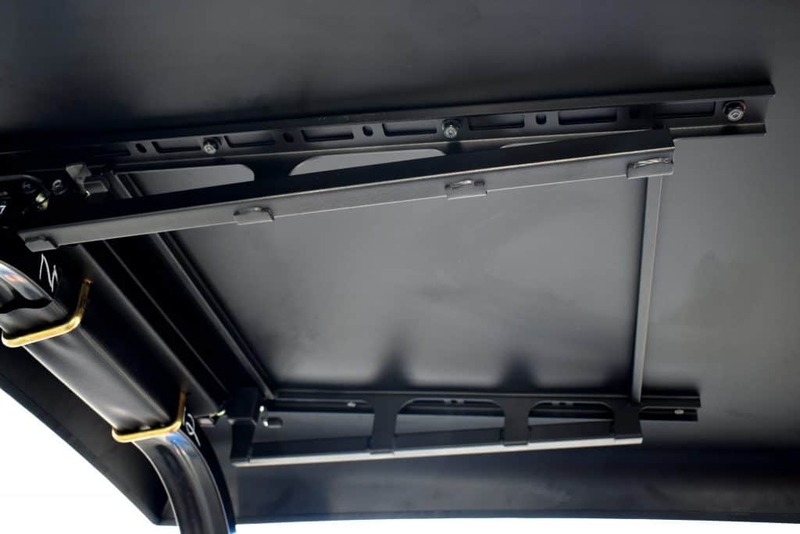 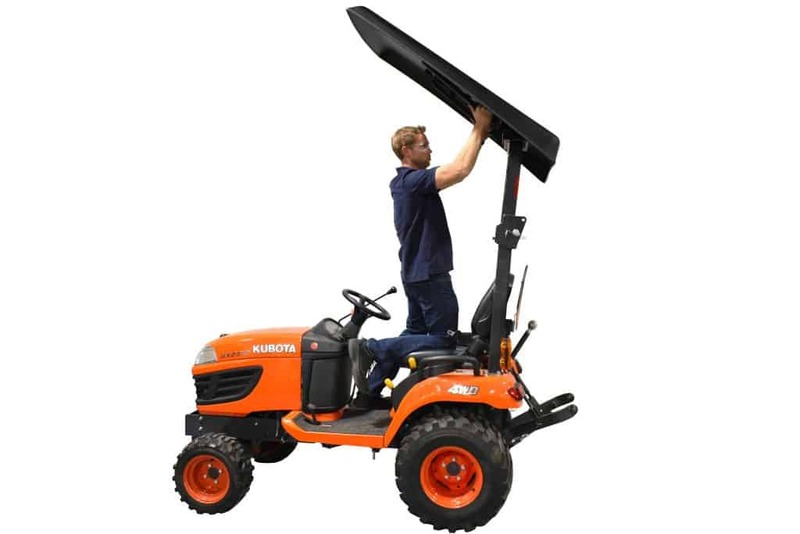 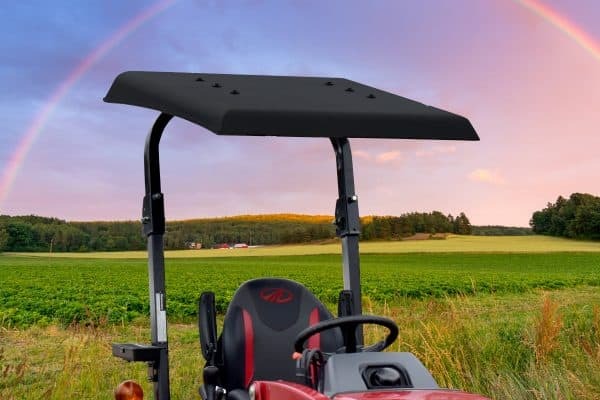 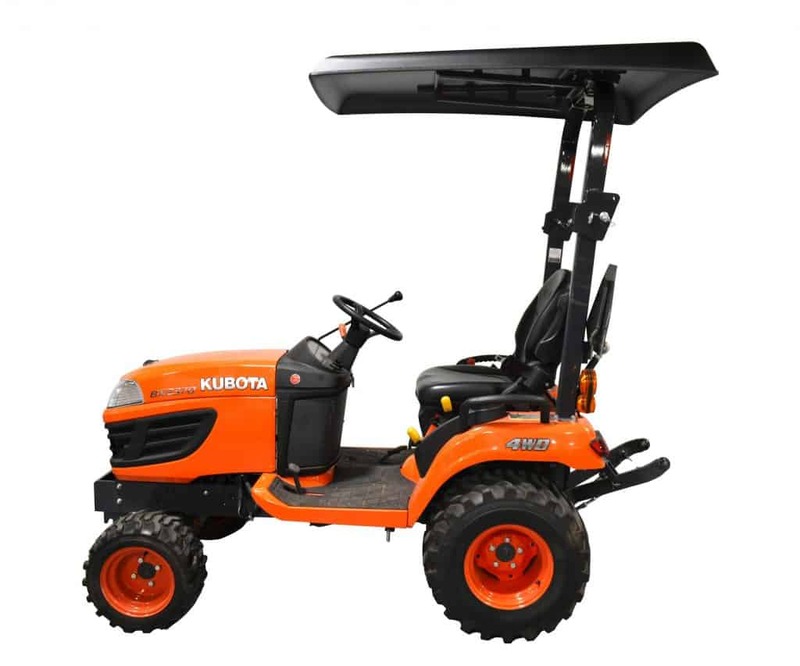 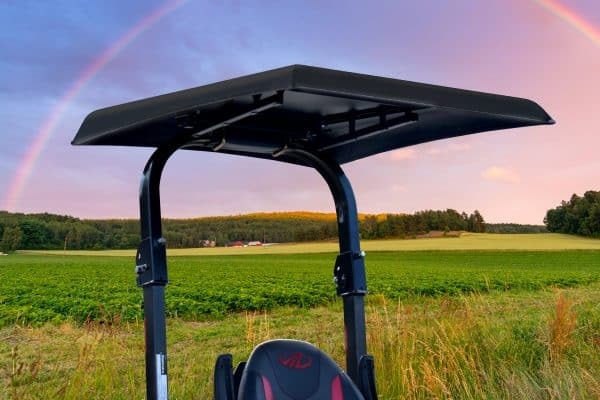 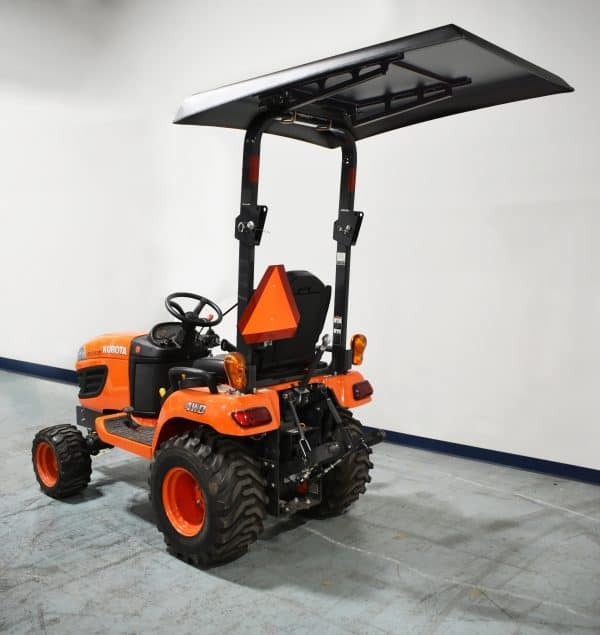 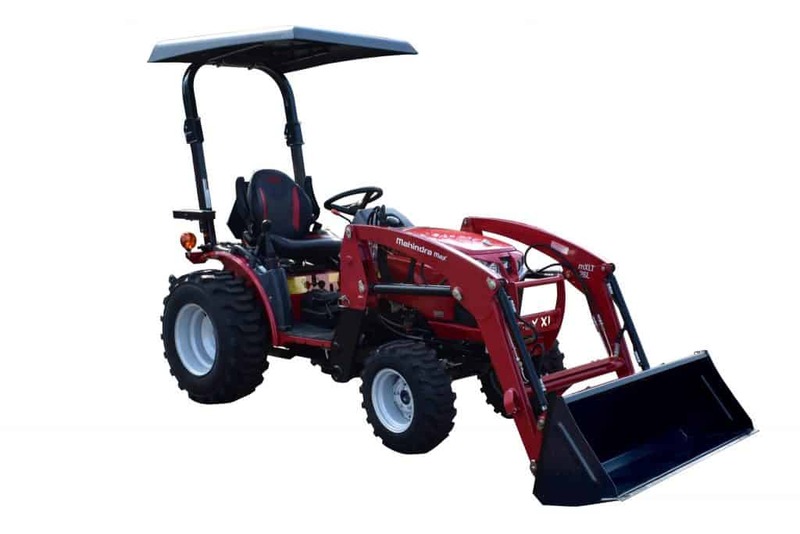 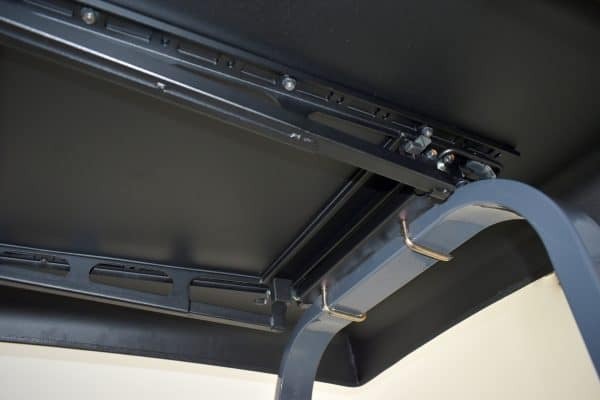 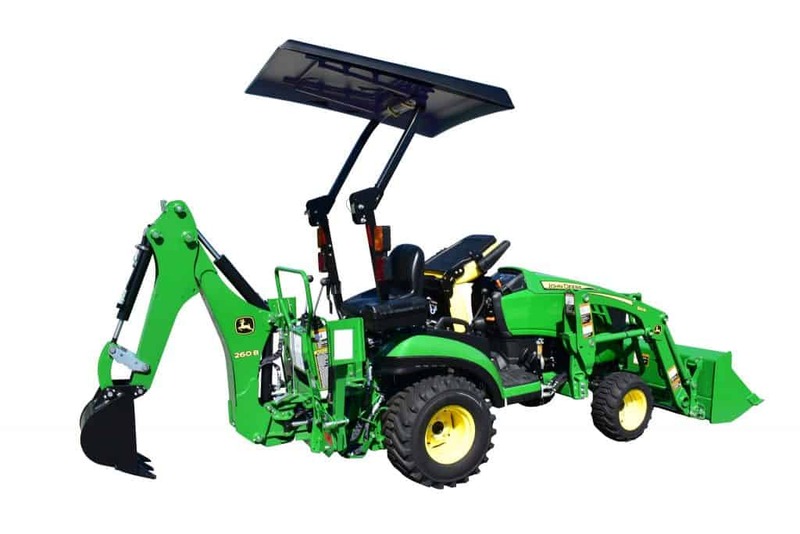 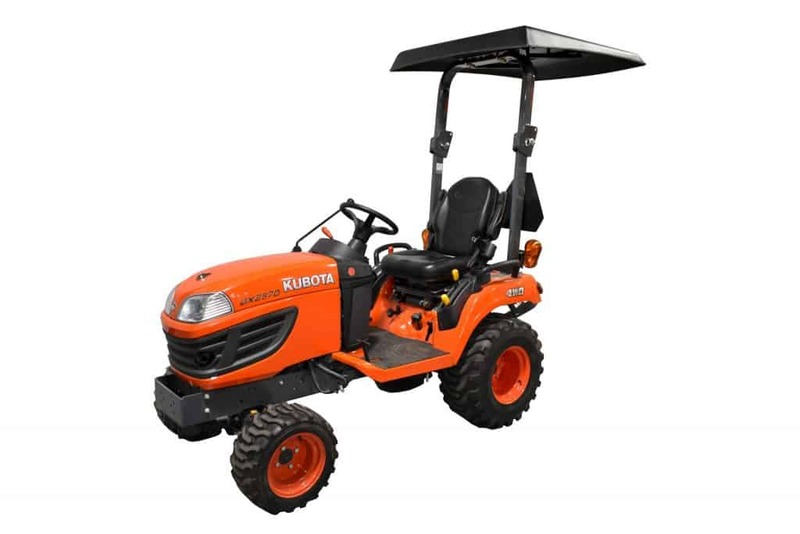 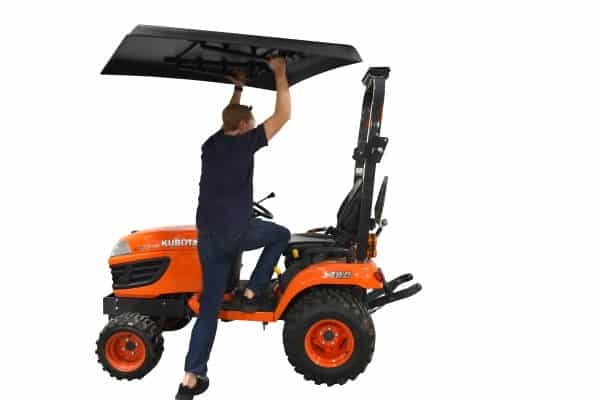 Turn the canopy to the rear-facing position for shade while operating the backhoe. 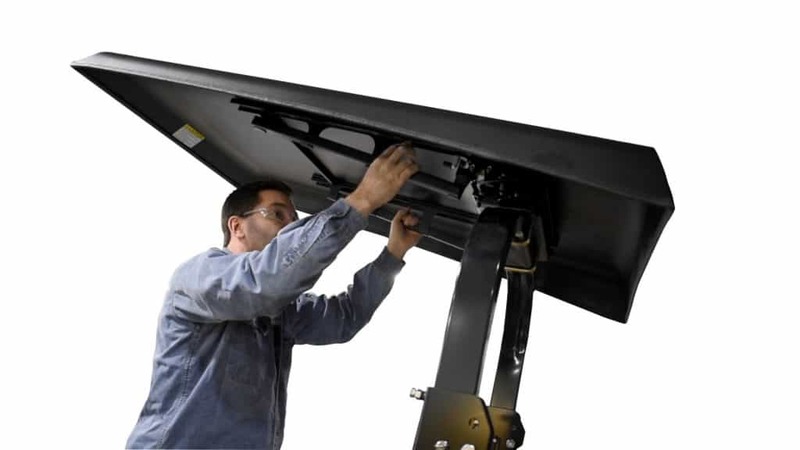 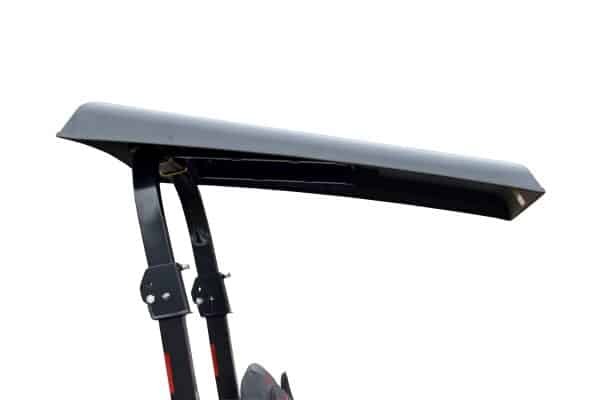 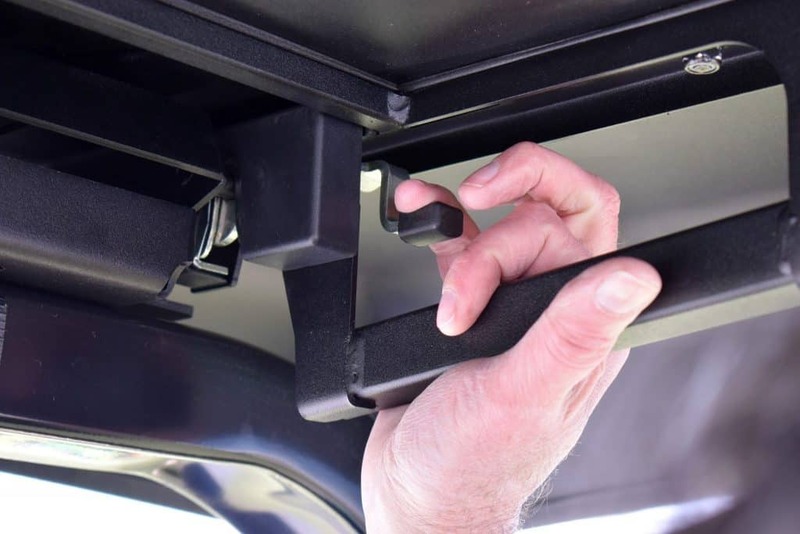 Remove the canopy in seconds for easy trailering or to maneuver around low obstacles.